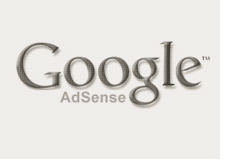 How Much Money Does Google Make from Its Adsense Partners? If you are involved in the Google Adsense program, you probably know by now that Google doesn't disclose the percentage that it pays its publishers. Other programs will declare up front that they take 20%, 30% or 50% of the total revenues, but Google doesn't declare this, and won't tell you if you ask. First off, the question that needs asking is: why doesn't Google just pick a percentage and stick to it? I believe that they do this to give themselves flexibility in the future. If they announced publicly that they were taking 30% of revenues, and then raised that amount to 35% in the future, there would be a massive outcry. Look at what happened when Ebay raised their rates. By keeping the percentages a secret, Google gives themselves the ability to raise the amount that they take without there being a protest. Also, this gives Google the ability to "smooth" over their earnings if they ever need to. Let's say that Google is internally forecasting a rough fourth quarter. Well if they decided to pay out 65% of total earnings to their partners instead of 70%, this extra 5% would go straight towards their bottom line. This would be millions upon millions of dollars going straight towards their net income, which would come in handy in the face of a potentially weak quarter. So how much does Google pay out to its partners? The answer lies right in their quarterly report. Google said that it paid out $1.06 billion dollars to its Adsense partners. Google Network Revenues, which is what the partner sites (Adsense) generated in revenues, came in at $1.35 billion dollars. So Google paid out about 21.5% to its Adsense publishers in the last quarter. Google Network revenues accounts for 35% of its total revenues in the most recent quarter. All in all, considering what Google provides you (the network of advertisers, the billing, the customer service, the technology), it's a great deal for publishers and extremely easy to set up. Yahoo can try all they want to compete with Google with YPN, but Google is lightyears ahead of them and will never be touched, in my opinion. It's all about the network of advertisers, and Google has Yahoo crushed in that department.